This afternoon, I was interviewed about my work with tarot and about the book, Tarot for Manifestation, on NuLife Radio. The hosts — Dax, Mary, and Mark — made me feel most welcome. I hope you enjoy listening to our chat and I hope that you leave Comments about it here. I’m delighted to announce that my first book, Tarot for Manifestation, is now available through Amazon. This book is a down-to-earth, user-friendly guide to using the tarot as a tool to map out your authentic goals and to make them real! A couple of weeks ago, Theresa Reed (aka the Tarot Lady) gave a fabulous teleseminar on being a good professional tarot practitioner/reader/consultant. The three sections of Intention, Structure, and Connection that she offered were extremely clear and helpful to people of all levels of experience. What professional tarot experience can I offer that is my ideal amalgam of integrity, service, attractiveness, and profit? A dreamlike ritual of presence. The education of both soul and mind. Being educated by both soul and mind. A journey from awe to understanding to decision. A marriage between deep feeling and objective thinking. A harmonious balance of of Nature’s fluid guidance and tried-and-true human tradition. May you and I look at life through the cards together in these ways. So be it! Need a burst of insight? Yes, you do! Have a quick single question? Need an efficient burst of tarot-inspired insight? Then you need a Mini Two-Card Focus consultation. A Mini Two-Card Focus reading, only available by email, is a great way to get concise feedback from the Universe so you can learn what you need to learn and gain a couple of helpful strategies. It’s very good for answering questions that begin with “how” or “what” and that focus on insight rather than prediction. A simple payment of $15, sent to me by PayPal, is all you invest. Your Mini Two-Card Focus will be emailed to you within 48 hours of receiving your question and payment. How easy is THAT?! For those who prefer longer, more spacious explorations through tarot counselling, consultations of an hour or more are also available by Skype, by phone, or in person. Image: The Magician from the Tarot of Transformation by Willow Arlenea and Jasmin Lee Cori. We’re not a one-person planet. We’re not a one-species planet. In order for life on Earth to survive, diversity is necessary. Tarot consulting is not a one-person profession. Tarot consulting is not a one-size-fits-all profession. In order for it to be of value, diversity is necessary. 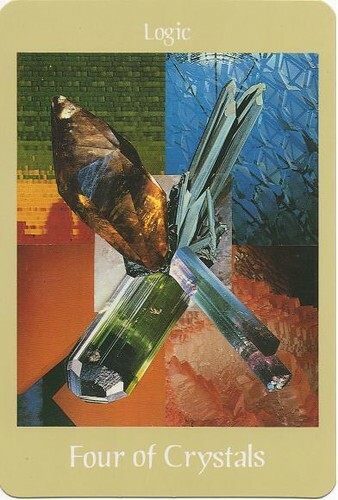 Some practitioners use the cards as an inspiration for intuitive or psychic flashes of information. The symbols are doorways to some other way of knowing for them. Other practitioners use tarot cards like Rorschach inkblot tests, inviting their clients to tell stories about the images, then helping them find insights in those stories. Some tarot professionals do most of the talking, preferring to deliver a message in a shorter time frame. Others prefer to hold a conversation that involves questions and statements from both client and practitoner, a longer and deeper experience with the cards. There are people who have attended workshops and classes, read books, engaged in private study and contemplation of the cards, and may even have written materials of their own. There are others whose training is of the self-taught approach, figuring out the cards as they go along. Some tarot practitioners meet somewhere in the middle of these styles. Some readers’ work is about predicting events and others say that it’s about being more aware of the present so one can be conscious of choices. One style is receptive or passive and the other is pro-active. When considering a tarot experience, reflect on what it is you want or need in that experience. Do you want entertainment? A soul-deep exploration of life? Prediction? Counsel? Do you prefer to listen to someone speak about you or would you rather be part of a co-created conversation? Is a quick burst of information appropriate for you or would a longer, more luxurious investigation of your situation be in keeping with your needs? When in doubt, simply ask the practitioner what her/his style is and what the focus of his/her work is. We’re very happy to let you know what we do so that what will be of greatest benefit to you is more likely to happen. The tarot and other tools of insight, counsel, and deep knowing, in the ways that I use them, are not substitutes for using our mental capacities, but are ways to tune in to other pieces of feedback that exist within us and around us. I get a little worried when someone’s advice to another person is only, “Trust your intuition. It will tell you everything you need to know.” Intuition is simply one more sense in the panoply of human perceptions. It is neither less nor more important than sight, smell, taste, touch, hearing, thinking, or proprioception. Too many people mistake impulse for intuition, thereby making less-then-helpful decisions. Impluse carries emotional attachment whereas intuition simply provides information. When I use the tarot for myself and clients, one or both of two things often happens. Either we’re surprised into discovering a fresh angle on an issue or question and/or knowledge we already possess is confirmed as vital to the issue or question. The client and I weigh what comes through the tarot experience alongside the facts and feelings at our disposal so we can get a fuller sense of the topic of exploration and more informed choices can be made. Our wisdomsource, as consulted via the tarot, is not very different from any other trusted friend or mentor. We can choose to heed all of the advice, some of it, or none of it. Just because the information comes through an intuitive, other-than-rational source that many people perceive as “superior” doesn’t mean we’re beholden to it. Unhealthy dependency on the tarot is discouraged. Healthy, respectful use of that tool is encouraged. As long as we’re not just obsessively turning over cards to look for the anwer we want, we can use the tarot as often or as seldom as we want. I wouldn’t want to start pulling cards to respond to, “Should I have eggs or porridge this morning?” I make important decisions using intellectual knowledge blended with other ways of knowing, including tarot insights. It’s empowering to have the human capacity of choice! Neither the cards nor “fate” make things happen, people do. So, remember to use as much of yourself in your choice-discovering, decision-making process as possible. By all means, use “alternative” ways of evaluating an issue, but please also remember to honour your intellect. It’s one of your great gifts. The tarot and thinking are not opposed to one another, they are excellent friends indeed. You are capable of figuring out your situation. You’re an expert on your own life. Your personal power is considerable. All of those statements are true. Yes, really. You might think they sound funny coming from someone who offers tarot consultations, but ultimately my job is to remind you just how wise you already are, to remind you that there are helpful answers and deeper questions within you. I’m a tourguide of the soul and its perspicacity. Our map is the pattern of cards that we lay out before us. I love providing the framework for this tour to your Inner Teacher’s repository of knowledge where the answers to what you most need to know or learn at this time lie waiting for you to discover them. How does this happen? Both of us set a clear intention for your session and do the preparatory work to make that happen. A layout/map of the session of created containing open-ended questions that invite us to see the cards in ways that are relevant to you and your area of exploration. During the session, we listen to one another (and whatever else comes into the moment) with attention and we speak to one another with respect and attention. Confidentiality is assured. Your name and particulars are sacred and not for general consumption. We know that it’s OK to feel what we need to feel about certain issues that come up in the consultation and we know that we’re in safe enough space to talk about those feelings. We work together to come up with concrete, doable actions that are based on a card’s most helpful qualities so you can ground the consultation in your “real” world. 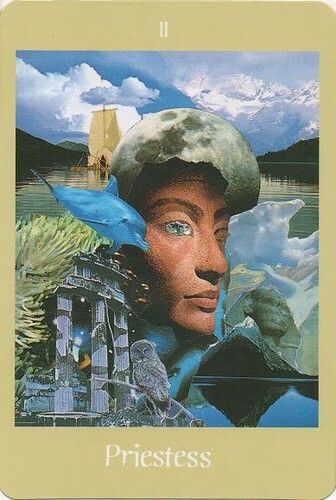 Using the Jean Noblet tarot pack, I’m choosing a card to respond to, “How can people best remember their own wisdom?” I receive LEMPERATRISE (the Empress). People can best remember their own wisdom by sitting still and noticing what’s happening in front of them. They can remember their wisdom by holding on to symbols of their personal authority. They can remember their wisdom through surroundings and activities that are nurturing, caring, safe, and nourishing.